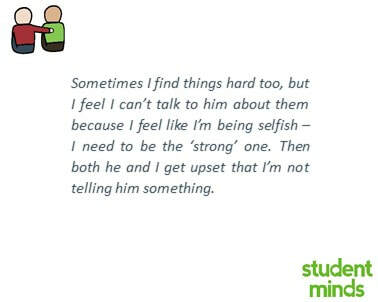 The Looking After a Mate study set out to understand the support students provide to friends that are experiencing mental health difficulties. 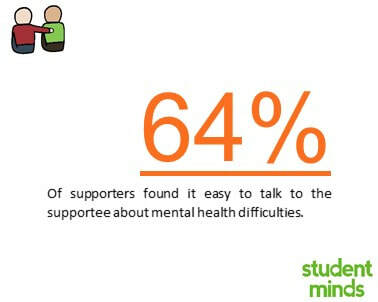 The study looked into the challenges students face in providing support, their needs as supporters, the support they receive and the impact this responsibility has on their lives. The study involved seventy-nine university students who were supporting friends experiencing mental health difficulties. 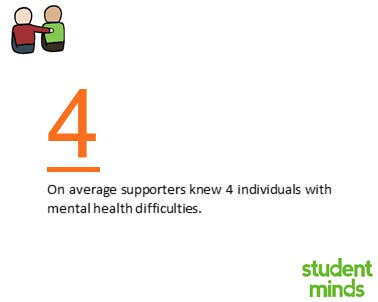 The report covers details about the supporters, the friends they are supporting, the supporters’ wellbeing, their needs, their experience of providing support and their approach to providing support. Student supporters need more support. They may likely to be experiencing their own mental health difficulties. They often feel that they don't know how best to support their friend and this is stressful. Meeting supporters needs can reduce the negative effects of poor mental health on the relationship. Increasing the range and intensity of non-professional support (e.g., friends and family) available to students experiencing difficulties reduces the impact of providing support on any one individual. Many students were supporting a friend who was not receiving any support from professional services. Supporters want more engagement with the professionals supporting their friend.